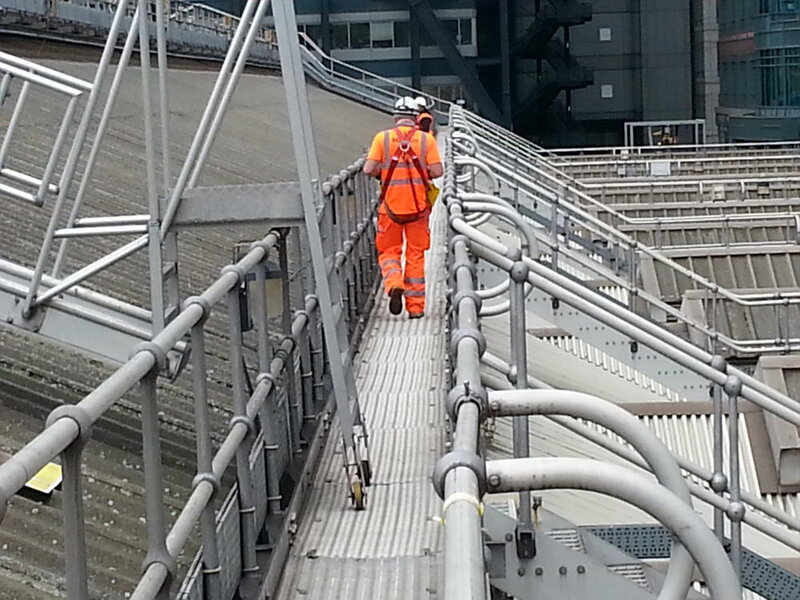 VEDA combined traditional testing techniques and laboratory analysis to determine the integrity of London’s Liverpool Street Station train shed roof. After completing the comprehensive assessment, VEDA devised a repair programme with potential to extend the roof’s original design life by up to five years. The roofing is made up of translucent glass fibre reinforced plastic (GFRP), which covers a total surface area roughly the size of a football stadium pitch, and powder-coated aluminium corrugated sheeting of a slightly lesser total surface area. 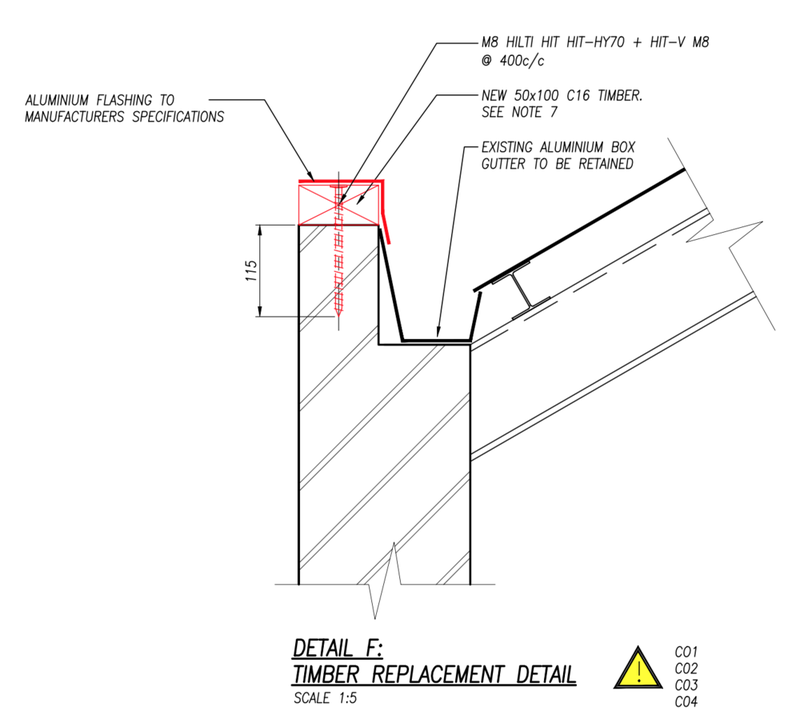 The 1.5mm-thick GFRP material and the aluminium-based roof sheeting, which is 50% thinner, were subject to coin-tap tests in situ before sample sections were extracted for lab testing. Desktop research was undertaken to establish the Barcol hardness number and density of the roof samples and, due to a lack of comprehensive documentation on the material’s characteristics, results were compared against performance data for similar products in the market. VEDA found that, typically, only the top few micro-millimetres of the GFRP surface was damaged, with little effect on the mechanical properties of the material in most areas. However, surface degradation in other areas had caused stress concentrations that could affect the mechanical properties. Visual inspection confirmed the roof covering was generally in a stable condition but the GFRP sheeting had degraded by up to 52% and the timber edge trims had decayed, VEDA observed. Also, surface cracking and vertical cracks were observed on the fixing caps, as well as corrosion on the self-tapping screws. VEDA recommended a surface clean using only styrene or other approved solvent before a follow-up assessment to fully understand the extent of damage. 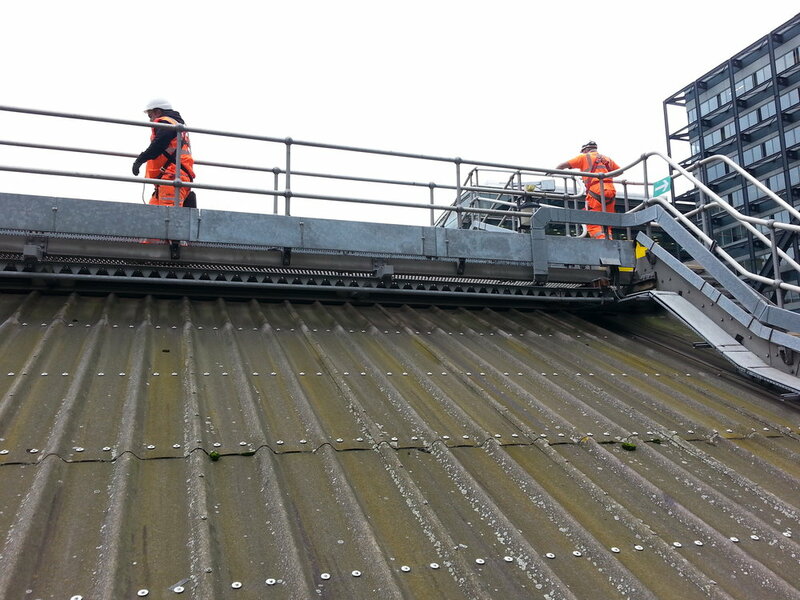 Due to the toxicity of pigeon droppings accumulated on the 30-year-old Network Rail-owned asset, stringent sampling regulations were followed.